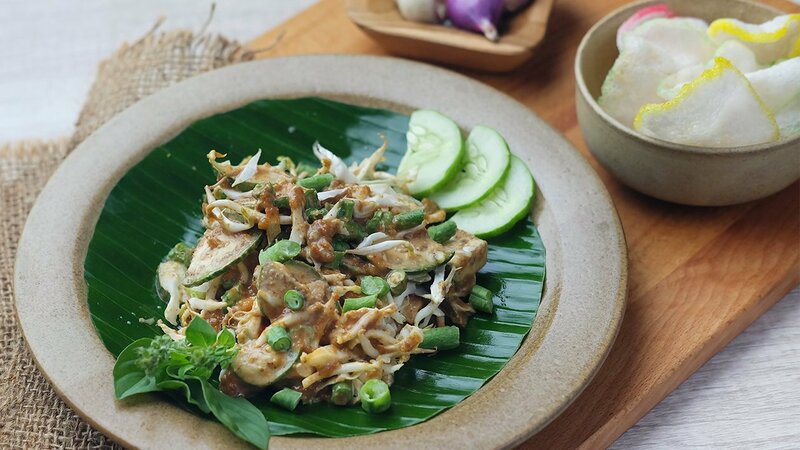 Karedok is one of the typical Sundanese food, made with raw vegetables such as cucumber, bean sprouts, cauliflower, long beans, basil leaves and eggplant. Simply healthy delicious. Make sure all vegetables are washed thoroughly with boiled water, then drain. Mix well the vegetables and peanut sauce (add lontong if necessary). Pour the fried onion and crackers.